This started out as a drawing of regular glasses, but somehow just got out of hand. 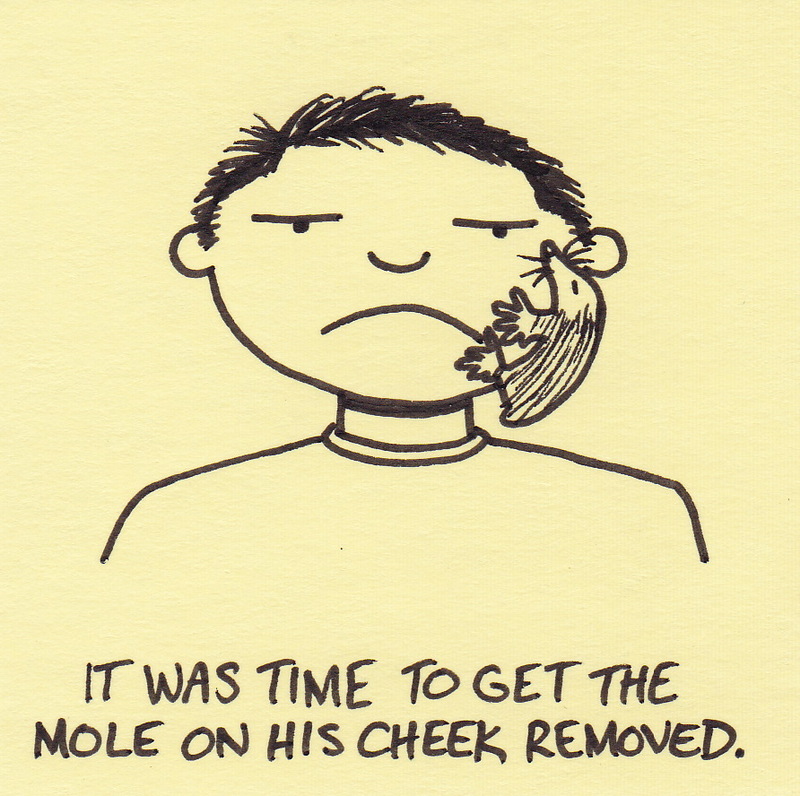 It was time to get the mole on his cheek removed. A few years ago I had to have a mole removed from my shoulder. There was a very large man in the waiting room. Very large. He was wearing the biggest and dirtiest pair of overalls ever and spitting tobacco juice into a soda can. Not exactly the ideal waiting room companion. I tried to avoid eye contact, but he still spoke to me. Who knew the waiting room would be more painful than the minor surgery I was waiting for. 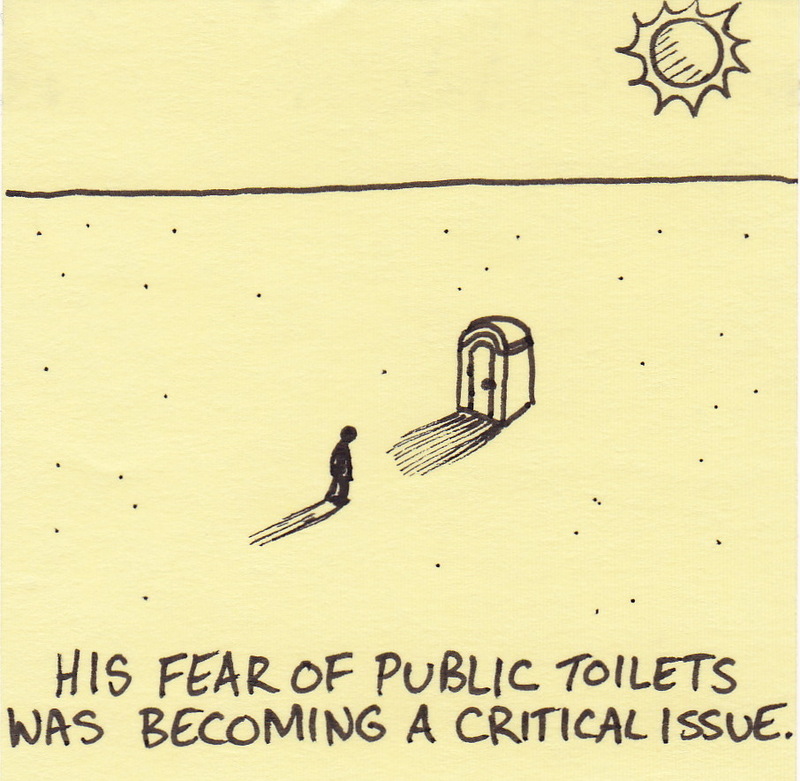 His fear of public toilets was becoming a critical issue. 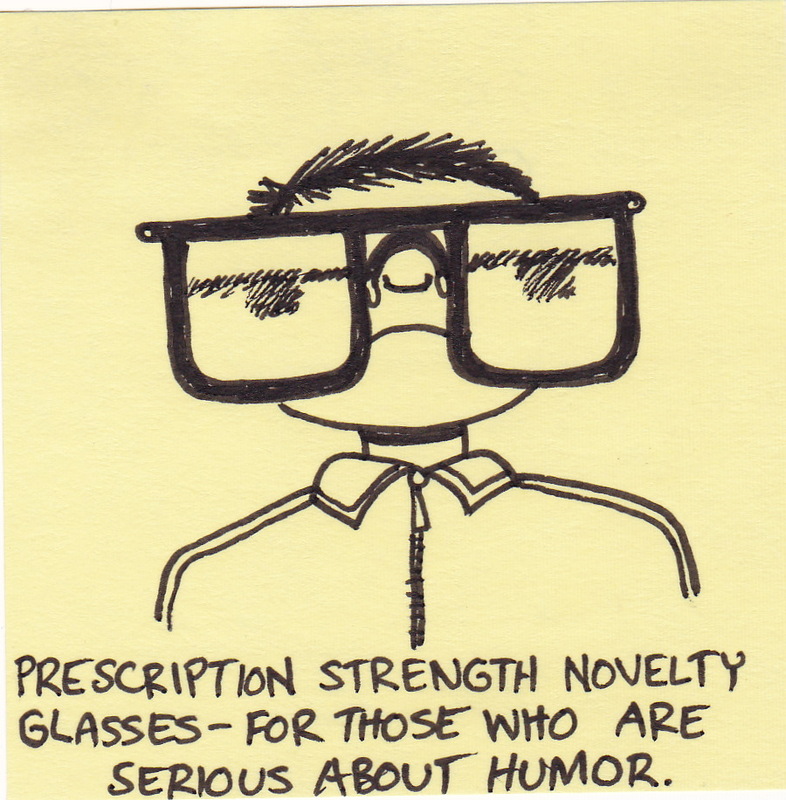 More than any other cartoon I have posted – this is me. I am absolutely terrified of public restrooms. 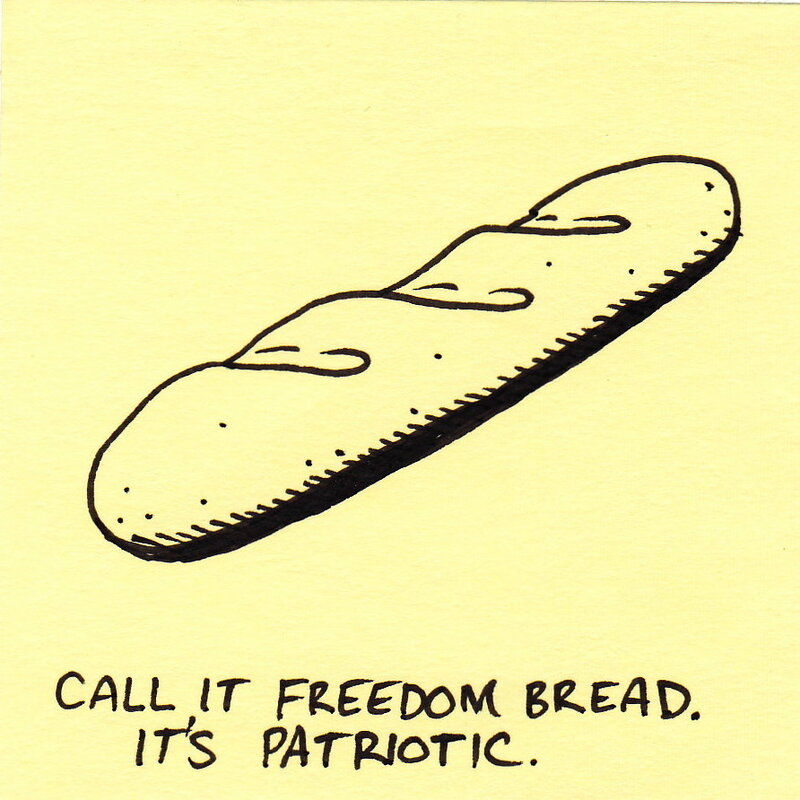 I can see wanting to stake a claim on something as tasty as french freedom fries, but wouldn’t it have made more sense to go ahead and blame the Germans for Rubella? This power tie takes it to the next level. Personally, I don’t wear ties very often. I only wear them for weddings or funerals. Odd that these two events are at opposite ends of the social spectrum, but they have the exact same dress code. Hmmm. I own two ties. I actually only ever wear one of them because the other is very ugly. I should give the ugly one away, but I can’t. I’m not sure why. It could be many reasons, but I think it could be because I need the illusion of choice. Obviously I’ll never really wear the ugly tie, but as long as it is in the closet I could. Especially if I ever wear the really ugly shirt that also lives in the closet. 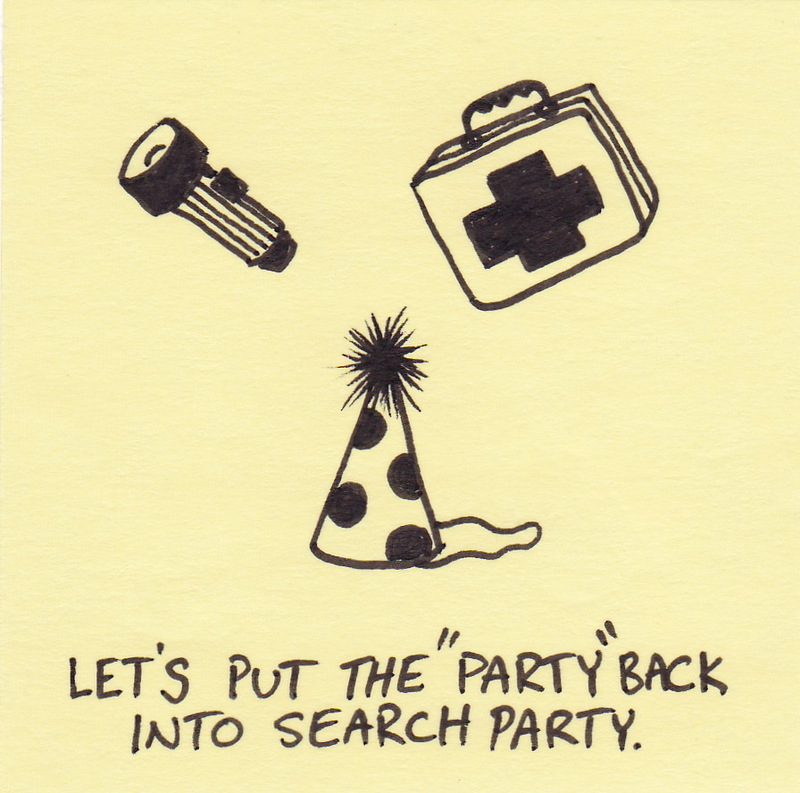 Let’s put the “party” back into search party. Next time you host a search party, make it an unforgettable one. And if you added dancing and a live band, who wouldn’t want to be found! 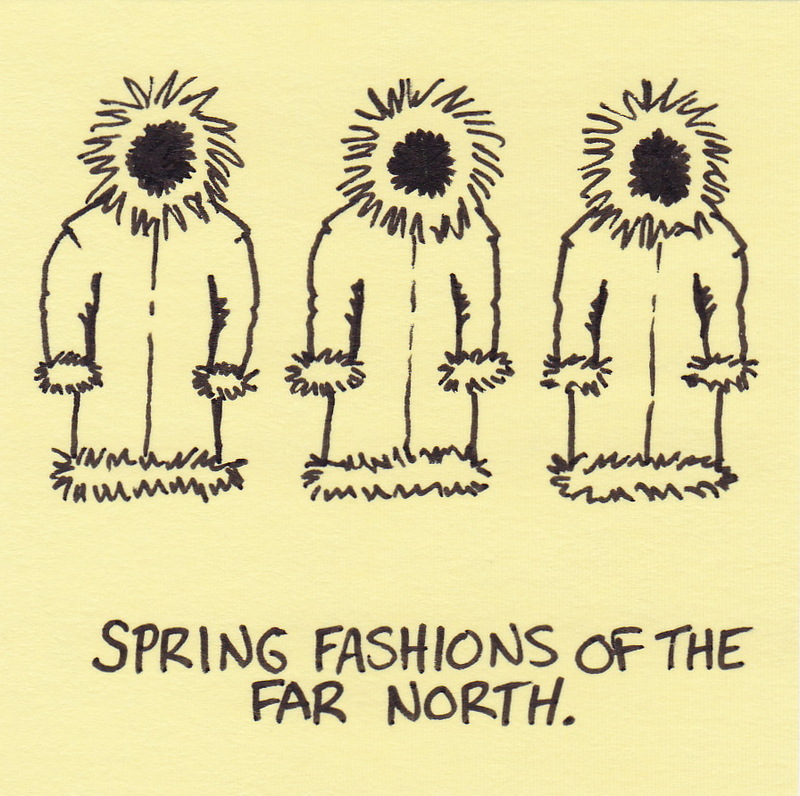 Spring fashions of the far north. It is April 21st and I am still looking at snow in my backyard. How about you? 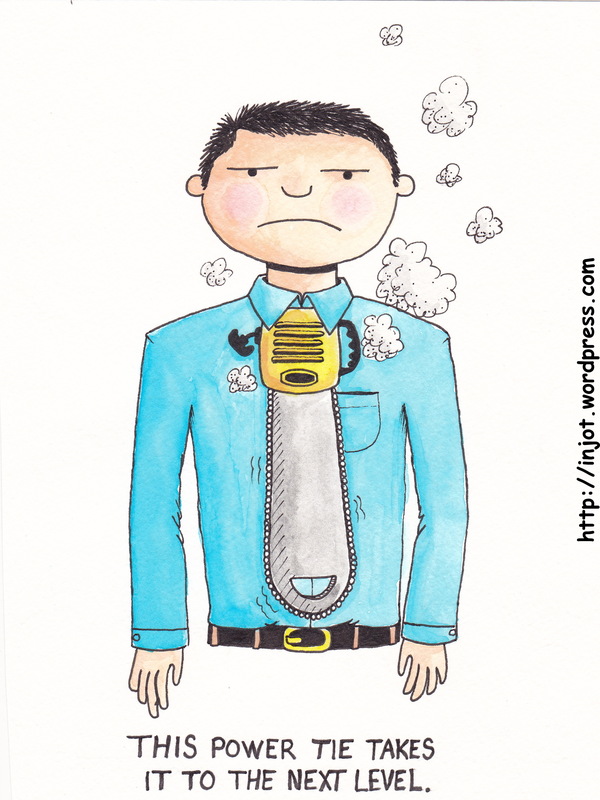 You are currently browsing the Inkjot blog archives for April, 2010.